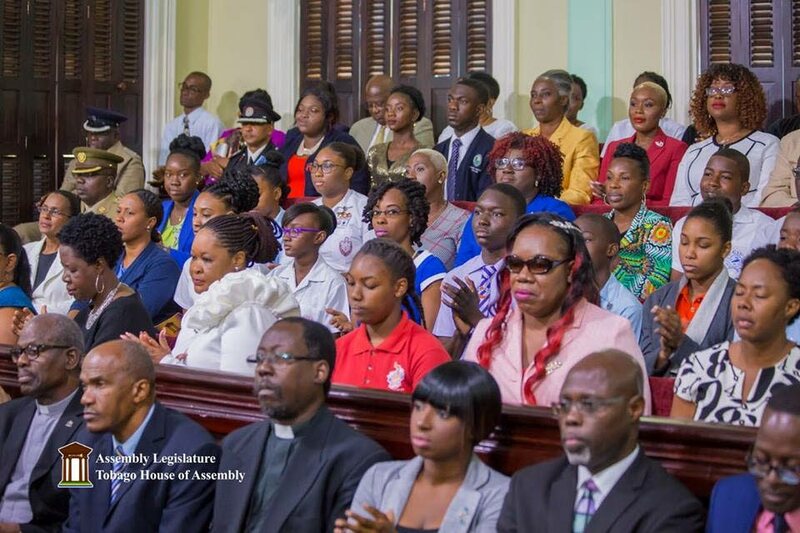 Tobago and its people are becoming more sensitive to taking an active role in shaping their future and destiny,” Chief Secretary Kelvin Charles said on Thursday as he welcomed President Paula-Mae Weekes to a special sitting of the Assembly Legislature at the Chamber on Jerningham Street, Scarborough. The President addressed the Chamber as part as week-long working visit to Tobago. Charles, stating that while migration by Tobagonians to Trinidad and other parts of the region and world was a challenge, especially amongst the island’s intellectual capital, “we continue to press on and strive towards excellence. “We endeavour to fashion Tobago into a competitive, economically thriving island, equipped with the necessary infrastructure, skills, expertise and transformational policies, to ensure that the island and its people are holistically motivated, to function and succeed on the global stage,” he said. Charles also commended President Weekes for “taking the necessary steps to ensure that you tangibly function in the office of President of Trinidad and President of Tobago. “It sends a clear signal that you approach your service to the people of Trinidad and Tobago, with unreserved seriousness and commitment,” he said. He said he hoped Weekes visit last week to Tobago would lead to a consideration of a Tobago office of the President. Also offering remarks, Minority Leader Watson Duke stressed on the importance of self-governance for a thriving and industrious Tobago. He said, “I am speaking on behalf of those Tobagonians whose voices cannot be heard. We wish that sometimes, some way, while you are the head of state, you will become an advocate for Tobago being an industrious society again so that the agriculture becomes more thriving. “We hope that you can advocate for our right to self-determination, the right to operate as we were before,” Duke told the President. The Legislature’s Presiding Officer, Denise Tsoiafatt Angus, in her comments, described Weekes’ visit as a historical moment for the people of Tobago. “Over the past year you have dispelled any notion of those who believe there is some measure of tokenism evoked for women to reach greater heights. From your first speech, your message has consistently advocated for us to do better and be better in our lives,” Tsoiafatt Angus said, adding that President Weekes has shown a commitment to nurturing a better country. Reply to "Charles: Tobagonians becoming active in shaping future"